Flamenco and Spanish Song, Dance and Guitar together with Yasmin. Solo guitar and accompanying flamenco dance for a Spanish themed dinner. A performance of flamenco guitar music, especially including pieces and styles that were prevalent in the 1930’s and 1940’s and therefore relevant the the people who suffered at that time. Flamenco guitar duets for a Spanish dinner. A private performance of flamenco guitar solos and duets with flamenco dancer. Flamenco guitar playing for Spanish party. A performance together with a flamenco dancer of a wide selection of Flamenco styles. 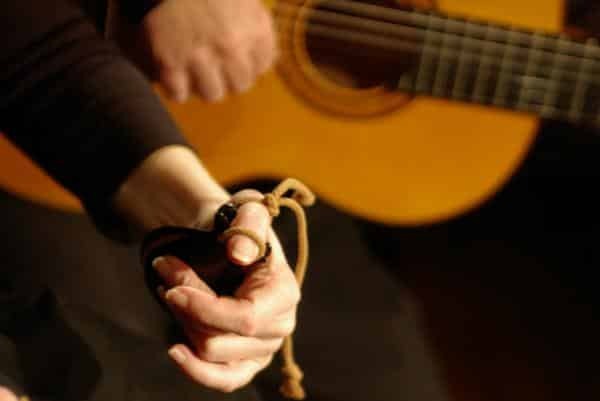 A performance of Flamenco Guitar solos showing musical characteristics from the cultures that have contributed to flamenco including: Moorish Arabic of gentle, Sephardic Jewish, South American, Gipsy and of course original Spanish songs from Andalucia. A recital of gentle, sensitive Classical Guitar Music as mourners arrive, to accompany a poem and at other moments. A private party for a classical guitarist and his guests. A recital of Spanish Classical Guitar Music. Focusing on beautiful and romantic compositions. A recital of Spanish Classical Guitar and Flamenco Music. A lunchtime recital of Spanish guitar music. An evening of solo flamenco guitar and Spanish guitar duets for a Spanish restaurant. An evening of flamenco dance and guitar for a Spanish restaurant. Spanish Classical and Flamenco Guitar Recital for a Wedding. A performance of Solo Flamenco Guitar pieces as well as Flamenco dances for a Spanish client. Solo Flamenco Guitar for a private event. Flamenco Dance and Guitar for a Spanish Themed event to raise funds for East Riding Stroke Victim Support. Flamenco Dance and Guitar for a Spanish Themed 50th birthday party. Flamenco Dance and Guitar to accompany the presentation of the Paso Fino Horse. A performance of Flamenco dance and guitar to accompany the Spanish event. A private party for special clients who love Flamenco Guitar and Dance. A performance of Flamenco Dance, Flamenco Guitar Solos and Duets of Castanets and Guitar. A performance of Flamenco Guitar Solos and Duets of Castanets and Guitar. A performance of Flamenco Dance, Flamenco Guitar Solos and Duets of Castanets and Guitar to accompany a Spanish dinner. A concert of Flamenco Dance, Flamenco Guitar Solos and Duets of Castanets and Guitar. A recital of gentle relaxing Spanish classical guitar pieces for a birthday party held at The Horns in Crazies Hill. A recital of gentle relaxing Spanish classical guitar pieces for a Spanish themed lunch. A recital of Spanish classical and flamenco guitar pieces for a wedding. A recital of flamenco guitar pieces accompanied by castanets for a classical ballet dancer. A recital of flamenco guitar pieces by the great flamenco masters for a private client who is a very keen guitarist. A performance of flamenco dances, flamenco guitar solos and duets guitar and castanets for a Spanish event in Dunstable. A performance of flamenco dances, flamenco guitar solos and duets guitar and castanets for the travel show. A performance of flamenco dances, flamenco guitar solos and duets guitar and castanets to accompany the St Valentines dinner. A performance of flamenco dances and flamenco guitar solos for a Spanish themed party. A full performance of flamenco dances interspersed with flamenco guitar solos and duets guitar and castanets for a very special private client from Spain. A performance of flamenco guitar solos for a Spanish dinner. A performance of flamenco guitar solos and flamenco dances for a client receiving special guests from Spain. A high energy duet of virtuoso flamenco pieces. At the special request of this client my recital will consist of Spanish classical guitar pieces such as Asturias by Albeniz, Capricho Arabe and Recuerdos de La Alhambra by Tarrega as well as Vals Venezolano by Lauro and a selection of other beautiful Spanish guitar pieces. A recital of the more gentle Spanish flamenco and classical Guitar pieces for a private surprise dinner cooked by a master chef for a special private client. A Flamenco guitar concert for a very special client. A performance of Flamenco Guitar duets in the Gipsy Kings style. A performance of Flamenco Guitar Pieces and Flamenco songs for a Spanish party. A performance of Flamenco Guitar Pieces for a private dining Spanish dinner. A performance of Guitar Duets in the Gipsy Kings style for a private birthday party. A performance of Flamenco Dance, Guitar and Castanets for a welcoming party for Spanish people newly arrived from Spain. A duet performance of Gipsy Kings type Rumba and Flamenco Guitar solos for a Spanish dinner. 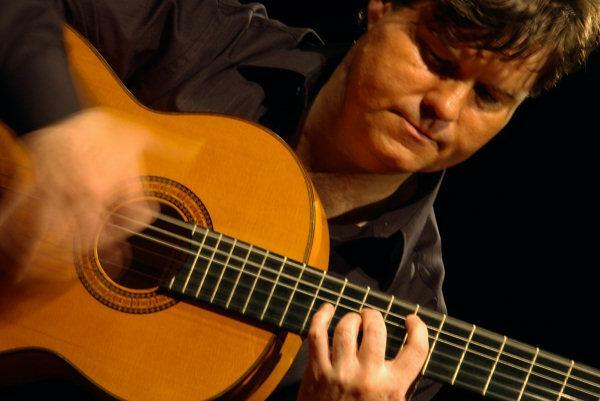 A recital of Flamenco Guitar Music for a group of professional classical musicians. A performance of flamenco guitar pieces for a private dining event. A performance of flamenco guitar pieces for a Spanish group. Flamenco Guitar for a group of Spanish people who returning to Spain after several years in Britain. Flamenco Guitar for the Ceremony and the Wedding celebration. Flamenco Guitar Concert for an 80th Birthday party for a Spanish man. A performance of Flamenco Dance and Flamenco Guitar Solos. A performance of Flamenco Guitar Solos with some softer Spanish Classical Guitar Pieces. A performance of Flamenco Guitar Solos. A performance of Flamenco Guitar Solos, Duets of Flamenco Guitar with Castanets and Flamenco Dances. A performance of Flamenco Guitar Solos, Duets of Flamenco Guitar with Castanets and Flamenco Dances with Two Flamenco Dancers. A special concert of Flamenco Guitar Solos, Flamenco Dance and Duets of Flamenco Guitar with Castanets to fundraise for Parkinson’s Desease. A special concert for my brother. Entry is free but donations to Lochaber Mountain Rescue Team who rescued my brother when he had a very serious fall in the mountains and sustained very serious injuries.